The slider is the perfect dish for your Super Bowl menu. It’s small enough to classify as an appetizer, but with several on a plate, they make the perfect entree. Most importantly, you can easily eat a slider with one hand while standing up. 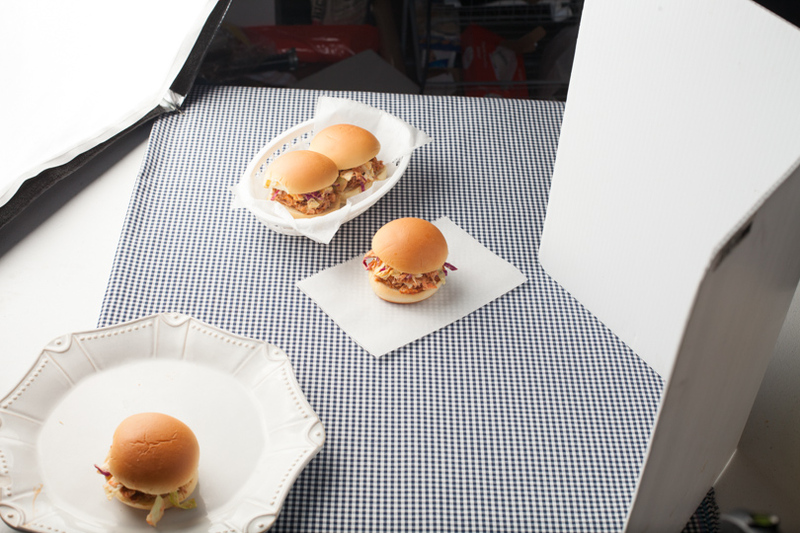 Looking for a slider that will easily feed your Super Bowl crowd and not leave you in the kitchen all game? Try this slow cooker pulled pork slider topped with Blood Orange Bourbon Barbecue Sauce and Weekend Slaw with bacon. Pulled pork sliders can be geared towards the team you are cheering for. Pulling for the Denver Broncos? Top yours with bacon weekend slaw and Blood Orange Bourbon Barbecue Sauce. If you are a Seattle Seahawks fan, top yours with Chimichurri or Creamy Pesto Dressing. 1. Cut or chop the cooked bacon into bite sized pieces. Add to the weekend slaw and stir until well mixed. Use immediately or refrigerate for up to 24 hours. 2. 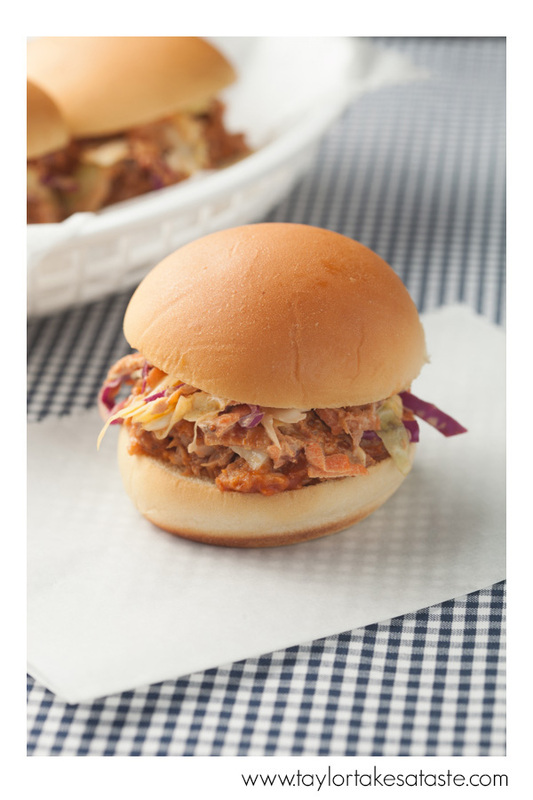 For each slider use 1/4 cup of pulled pork mixed with 1 Tablespoon of the Blood Orange Bourbon BBQ Sauce. Put pork on a slider roll. Top the pork with 1 heaping Tablespoon of the Bacon Weekend Slaw. Serve. 1. Remove the pork shoulder from its packaging. Pat pork dry with paper towels. Leave the fat cap intact. Season all sides of the pork with the salt and pepper. 2.Put the pork into the cooking vessel of the slow cooker, fat cap side up. In a medium bowl add the chicken stock, vinegar, lemon juice and red pepper flakes. Stir to blend. Pour the chicken and vinegar mixture over the pork. Some of the red pepper flakes will stay on the top of the pork. Cover pork with the lid of the slow cooker. 3. Cook the pork on LOW heat for 12 hours. Cook on WARM for an additional 2 hours. Pork can be kept on warm up to 4 hours before pulling. When ready to pull, remove the pork from the slow cooker and cool in a shallow pan for 15 minutes. Remove the fat cap. Remove the shoulder bone. Using your hands or 2 forks, pull the meat into bite sized pieces. You may further chop pieces with a knife if desired. Serve with BBQ sauce. Here is a set shot for the slider picture. My light source was positioned in the top left side of the sliders, creating a side/backlit lighting pattern. I used a white fill card on the right side to fill in the shadows. How many do you think one batch of the pork will feed? 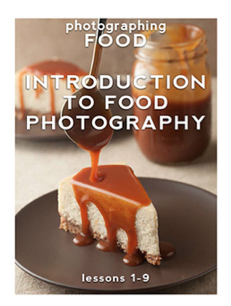 I have a function coming up where I need to serve 50 and was thinking of cooking a couple of batches. 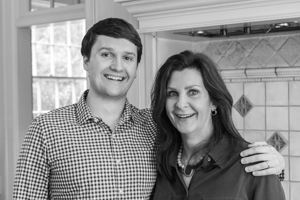 Nancy, hats off to you for cooking for 50 people! Yes, a couple (2) of batches should work well for the sliders. If you are serving the pulled pork as the main dish, you may want to cook three batches, just to be on the safe side. Plus, there will be leftovers to reward you for all your work!